How much would you pay for cat videos? A BILLION dollars? Probably not, but YouTube is betting that users are willing to pay for some premium original content that they currently enjoy for free. YouTube may finally be getting set to unveil a long-rumored monthly subscriptions for specific channels. According to a report in the Financial Times, YouTube will offer as many as 50 popular channels on a subscription basis for as little as $1.99 per month. YouTube currently gives viewers the chance to buy or rent individual TV shows or films, but the new service would reportedly allowchannels to offer a monthly fee for a la carte access. According to a January report from Ad Age, YouTube had already reached out to existing channels and outside partners to submit applications to create for monthly subscription channels. According to the report, YouTube is also toying with charging for content libraries or access to live events. As A-list content creators have shown their willingness to migrate from the big pay-cable channels, this type of move from a brand name like YouTube may make the traditional pay-cable system obsolete.There just isn't a need for the traditional cable provider/pay channel system any longer. We’ve seen the likes of Amazon, Netflix, and Yahoo try their hand at creating original content, while decidedly un-video mediums like Spotify and Twitter are said to be experimenting with becoming video content platforms. Content has become democratized and dinosaurs like HBO and Showtime may find it difficult to catch up without a radical reimagining. 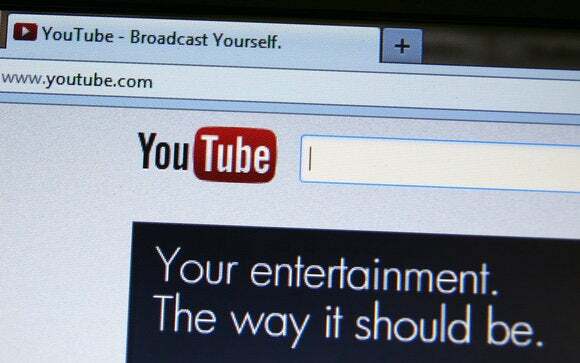 The specific details of YouTube’s deal may be unveiled as early as this week. And the move will likely compliment rather than replace Youtube's current offerings such as this short art film from auteur DarkElfMairead entitled “Kitten on a Slide.” Enjoy. Evan lives in Brooklyn, NY and enjoys writing about what future may hold and taking long romantic walks on the beach.